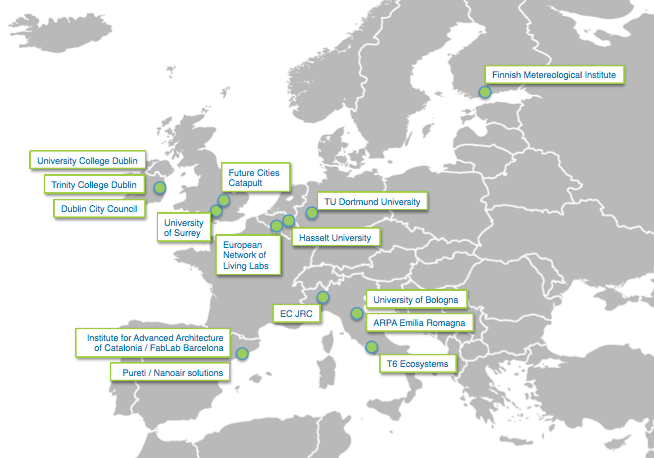 iSCAPE brings together leading European scientific institutions in the area of assessment of air pollutant dispersion modelling, climate modelling, urban planning, impact assessment, pervasive sensing, stakeholder management, user engagement and cost assessment. The structure of the Consortium represents a balanced mix between more theoretical and practical skills. The project team incorporates a vast range of the necessary expertise to achieve its goals, including economics, political and social science, architecture, engineering, policy analysis, environmental sciences, climatology, sensing, hardware development, physics, urban geography, integrated assessment, and deterministic and statistical modelling. University College Dublin is one of Europe’s leading research-intensive universities, where a comprehensive suite of strong disciplines forms the foundation of high quality interdisciplinary research, scholarship and innovation. UCD is the national leader in research funding, attracting quality investment that has helped the university to establish a reputation as a world-class destination for leading researchers. The Department of Planning & Environmental Policy is an internationally renowned centre of excellence for teaching and research in planning and environmental policy. The Department offers a range of professionally accredited programmes at undergraduate and graduate level in planning, urban design and environmental policy. UCD Planning & Environmental Policy is a research-intensive environment with unrivalled links with planning and design practitioners and with environmental policy-makers across the globe, ensuring that the graduates have the skills and networks for career development. UCD Planning & Environmental Policy is located within the School of Architecture, Planning & Environmental Policy, bringing together the disciplines of architecture, environmental policy, landscape architecture and regional and urban planning to provide a unique multidisciplinary teaching and research environment for design and policy analysis for the built and natural environment. Trinity College Dublin (TCD) was founded by royal charter in 1592 and is recognized internationally as Ireland’s premier university. Approximately 1,500 research staff are employed with the number of postgraduate students in the region of 3,800. Trinity College has been an active participant in Framework Programmes dating back to the very first programmes. Participation in FP6 included 50 RTD contracts (total €28.6m) and in FP7 TCD was successful in 218 proposals, coordinating 27 of them. TCD secured more EU funding in this period than any other Irish institution (> €90M). It is the only Irish university ranked in the top 100 internationally (71st in the world) and in the top 25 European Universities (18th in Europe) by the 2014 QS World University rankings. The Department of Civil, Structural & Environmental Engineering in TCD comprises 18 academic staff, 12 experienced researchers and over 60 PhD students. The research conducted in the Department is internationally recognised and its publication rate and success in attracting research income has been benchmarked internally and is comparable with the output of five rated research groups in the UK (under the RAE exercise). The Alma Mater Studiorum, the oldest university in the Western world, paves the way for innovation through an increasingly rich programme catalogue, cutting-edge research and a constant and increasingly broad international perspective. Since its origins in 1088, Alma Mater has been student-centred hosting prominent figures from science and the arts. Based in five campuses (Bologna, Cesena, Forlì, Ravenna, Rimini), with a branch in Buenos Aires, it offers a teaching catalogue diversified and tailored to the needs of present-day society: over 200 degree programmes among its 33 Departments and 11 Schools are offered to over 81,000 students. 5,000 graduates are enrolled in PhDs and 3rd cycle programmes. As a comprehensive research university Alma Mater invests in the multidisciplinary cross-cultural approach and in the inseparable connection between research and teaching. One of the most active universities leading and participating in European research and academic cooperation projects, Bologna has formed knowledge alliances with industry and public/private organizations. It is a hub of international networks. Beyond its close European links, it enjoys multiple connections with America, Africa, Asia and Australia. The University of Surrey (UoS) was named “The University of the Year (2016)” by The Times and Sunday Times Good University Guide. The UoS is one of the world’s leading institutions for research excellence, and with around 15,000 students, ranks fourth in the Guardian University Rankings 2016. The UoS has been involved in over 210 projects under FP7 and Horizon 2020, including 25 Marie Curie fellowships. Other projects awarded to the University include 5 European Research Council awards, 4 Career Integration Grant projects, and 12 Marie Curie Initial Training Networks. The Finnish Meteorological Institute (FMI: http://www.fmi.fi/en) has the mandate of producing reliable scientific information on the state of the atmosphere, its characteristics and phenomena, with the aim of promoting safety and serving various needs of the public, industry and commerce, as well as contributing to multidisciplinary scientific ends. FMI has two Cray XT‐5 supercomputers, and it employs about 700 people, about 350 of which are involved in research and development. FMI participates in many (inter)national collaborative projects, including around 40 FP7 projects. The Climate Service Centre of FMI, currently employing approximately 40 people, offers operational climate services and examines weather and climate, and their socio-economic aspects. Furthermore, its aim is to diversify the range of customer-oriented climate change services and to provide reliable and high-quality information regarding climate change. FMI has co-operatively produced a web-portal Climateguide.fi (http://ilmasto-opas.fi/en/) in order to support society and citizens in mitigating climate change, and in adapting to it. Likewise, FMI provides online data about the prevailing air quality in Finland at http://airquality.fi. The Meteorological Research Unit employs about 40 people, and is responsible for developing and maintaining numerical weather prediction systems and applications for operational weather forecasting. FMI is a member of the European HIRLAM-ALADIN NWP-consortium. TUDO (www.tu-dortmund.de/uni/International) founded in 1968; 16 faculties, mainly in science and technologies incl. economics, spatial planning and architecture; about 34,000 students. The Faculty of Spatial Planning is Europe’s largest planning school. It runs the master program “Regional Developing Planning and Management”. The Institute of Spatial Planning IRPUD was established in 1974 bringing together researchers from several disciplines which enabled IRPUD to gain an international reputation for co-coordinating and conducting interdisciplinary research projects in the fields of spatial development and planning, disaster management and transport planning. IRPUD has long-standing expertise in research project management in the European context. It led the projects PRESOM (6th RFP), ESPON CLIMATE, IMRA (ERA NET Crue), URBIPROOF and various other projects. IRPUD participated as partner in several other EU funded and national research projects were carried out under the 6th and 7th RFP. The Joint Research Centre is one of the Directorates General of the European Commission, engaged in direct research. The mission of the JRC is to provide customer-driven scientific and technical support for the conception, development, implementation and monitoring of EU policies. As a service of the European Commission, the JRC functions as a reference centre of science and technology for the Union. The Institute for Environment and Sustainability (IES) is one of the JRC Institutes, the mission of which is to provide scientific and technical support to EU policies for the protection of the global environment contributing to sustainable development. The digital earth and reference data unit is focusing in the establishment of rules for spatial data infrastructure aimed at developing an environment and health “cause-effect framework” that will provide the necessary information for the development of Community policy dealing with sources and the impact pathway of health stressors. A number of tasks already carried out, reflecting the specific competencies of the staff currently involved, address specific research needs in the environment and health area. One is the impact of climate change on health, which relates to ongoing work on multi-causality in environment and health interactions. Other exploratory activities are a feasibility study of a European network of bio-monitoring and retrospective E&H research, and analysis of the environmental and health consequences of new and emerging technologies. The Institute for Advanced Architecture of Catalonia (IAAC) is an international centre for Education, Fabrication and Research dedicated to the development of architecture capable of meeting the worldwide challenges in constructing 21st century habitability. The Fab City Research Laboratory is an emergent project from IAAC, MIT’s CBA, Fab Foundation and Fab Lab Barcelona that works in the development of locally productive and globally connected cities, powered by advanced technologies in the hands of citizens. The Fab City Research Laboratory operates within the Fab Lab network, and uses it as a distributed source of local knowledge, invention and action in order to address global challenges in an open source and collaborative philosophy. 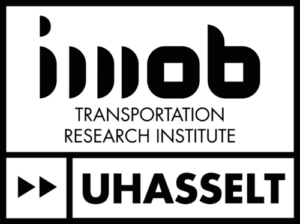 T6 is a small consultancy company in Rome, offering highly specialized research and management support for research implementation. T6 is composed of a group of people from different professional and geographical background who made their diversity a complementary and interdisciplinary strength. T6 is offering its services with a certain uniqueness: research results are aimed at facilitating application and transformative actions at local, European and international level. Research and management activities focus on socio-economic analysis, new technologies and environment as well as international cooperation. T6 experts in project and financial management developed specific methodologies for supporting research and the knowledge economy both at national as well as international level. iSCAPE activities are implemented by the Environment and Climate Change as well as the Society and Innovation Department. Nanoair Solutions (www.pureti.es) is a small company with high experience on the distribution of nano technology products and its different OEM applications for air quality. Our products must be water based and sustainable. We distribute products that are environmental friendly. Our team is made out of strong experienced professionals coming from the chemical industry to the commercial real estate industry. Part of our clients are from the commercial real estate then we are providing them solutions for internal air quality and applying our products to the facades of the buildings, those buildings become air scrapers for pollution. Although a very young company we are undertaken worldwide projects for different OEM producers. One of the most important products distributed by Nanoair is called Pureti which is a water based titanium dioxide that creates self cleaning surfaces that clean the air. At Future Cities Catapult (futurecities.catapult.org.uk), we accelerate urban ideas to market, to grow the economy and make cities better. We bring together businesses, universities and city leaders so that they can work with each other to solve the problems that cities face, now and in the future. From our Urban Innovation Centre in London, we provide world-class facilities and expertise to support the development of new products and services, as well as opportunities to collaborate with others, test ideas and develop business models. We help innovators turn ingenious ideas into working prototypes that can be tested in real urban settings. Then, once they’re proven, we help spread them to cities across the world to improve quality of life, strengthen economies and protect the environment. Our Cities Lab provides data analysis, modelling and visualisation capabilities to understand and elucidate city problems, while on-the-ground demonstrators in our network of collaborating cities provide opportunities for testing new approaches in-situ. Combined, they help us discover which new ideas can have the biggest impact on our urban environments. By bringing together the UK’s top architects, engineers, designers, academics and business professionals, we can help them transform cities on a global scale. We will strengthen the UK’s ability to turn excellent urban innovations into commercial reality. Our work currently focuses on three core themes: promoting healthy cities, building resilience in urban infrastructure, and designing strategies to help cities adopt and finance smarter technologies. Dublin City Council is the largest local authority in Ireland. It is one of four local authorities that govern the Dublin metropolitan area. The city council has responsibility for a limited range of services compared to a typical European local authority. These services include housing; planning; roads; environmental protection; provision of parks, recreation and amenities and community infrastructure. It does not have responsibility for areas such as policing, education, social services and health nor does it have a directly elected Mayor. Dublin faces challenges in maintaining its competitive position and supporting economic growth, while simultaneously delivering a high quality of life and an acceptable environmental footprint. Smart city technologies and technology innovation can help address many of the priority challenges that Dublin faces by delivering more responsive and efficient city services. Arpae Emilia-Romagna is a public institution that gives technical support to regional and local Authorities on environmental policy. Its activities and tasks cover a wide variety of subjects: environmental monitoring and modelling, management and surveillance of the impacts of human activities, planning for the improvement of the quality of air, soil and water. Moreover, Arpae manages a comprehensive environmental information system, and performs research activities relevant to the development of environmental protection issues in production cycles (Life Cycle Assessment, Best Available Techniques, etc.). Over the years, Arpae has developed high standards of technical expertise, and has established several specialized units to tackle some of the most critical environmental issues of Emilia Romanga: air quality, intensive agriculture, industrial accidents, health effects of environmental conditions, management of energy production and waste disposal. Arpae is part of the Italian National Service for Environmental Protection (SNPA); it collaborates with the Italian Institute for Environmental Protection and Research (ISPRA), the National Civil Protection System, the European Environment Agency, as well as with other Italian environmental agencies (ARPA) and with international institutes and research centres. In 2016 about 1300 permanent staff operate in Arpae Emilia-Romagna. The European Network of Living Labs (ENoLL) is the international federation of benchmarked Living Labs in Europe and worldwide. Founded in November 2006 under the auspices of the Finnish European Presidency, the network has grown in 10 ‘waves’ up to this day. The ENoLL international non-profit association, as the legal representative entity of the network is headquartered in Brussels, at the heart of Europe. ENoLL supports the evolution and the uptake of the Living Lab paradigm throughout Europe and worldwide, contributes to the creation of dynamic, multi-layer and multidimensional European Innovation Ecosystem, and facilitates the cooperation and the exploitation of synergies between its members and external stakeholders. Since its inception in 2006, the ENoLL network has expanded and developed into a vibrant and lively community of more than 170 active member living lab organisations that operate by the main living lab principles such as multi-stakeholder co-creation, active user involvement and real-life intervention.